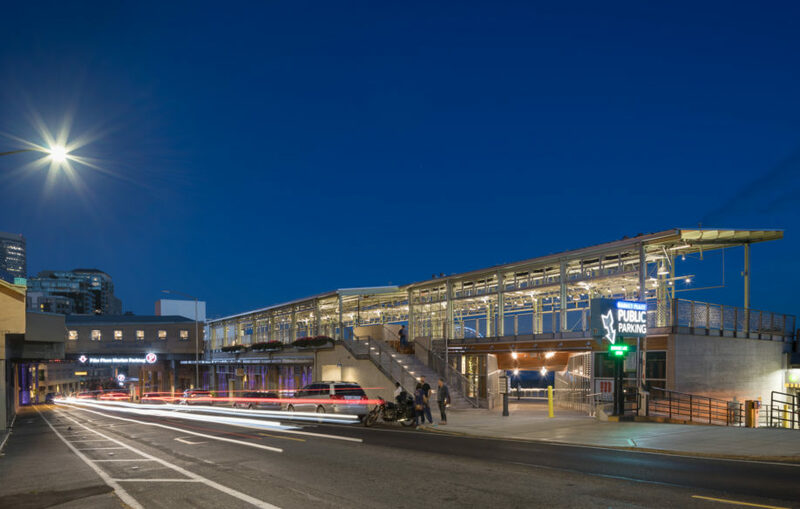 The Pike Place Market Waterfront Entrance Project (A.K.A. MarketFront) completes the vision for the Market Historic District and connects Downtown Seattle to the development of the Central Waterfront currently underway. The project includes a low-rise, mixed-use development that adds new retail to the market, 40 new units of low-income housing for seniors, expanded social services, parking, additional vendor spaces, a public plaza and art on a former parking lot site. The public plaza offers expansive views of Puget Sound and provides an attractive pedestrian connection between the Market and the Seattle Aquarium.